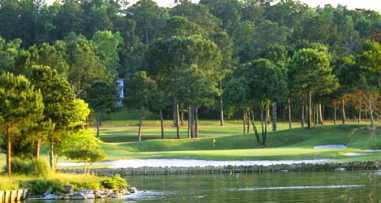 Whispering Pines Golf Club is a private 27-hole facility located along the shores of Lake Livingston in the piney woods of Trinity, Texas, about 90 miles north of Houston. 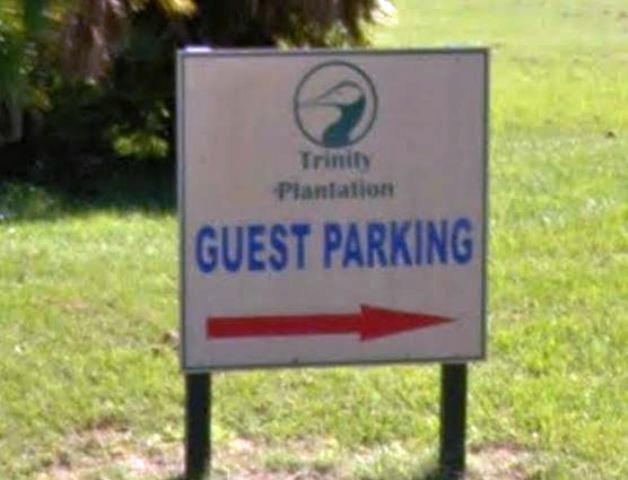 The facility has their 18-hole Whispering Pines Golf Course and a 9-hole executive course, The Needles Course. 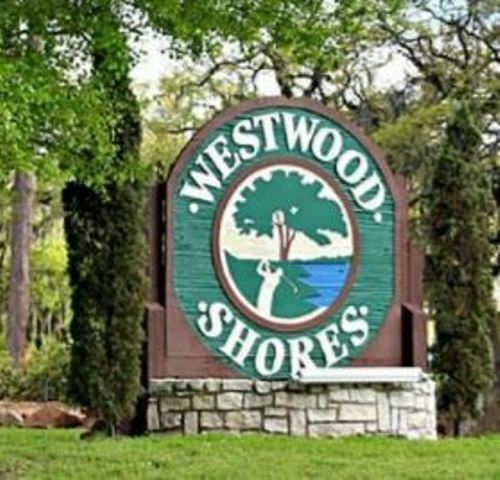 Ranked the #1 golf course in Texas, Whispering Pines Golf Course opened for play in 2000. The 9-hole executive course opened in 2013. Both courses were designed by Chet Williams. Whispering Pines was constructed on a 660-acre timber plantation owned by Corby Robertson Jr., chairman and CEO of Houston-based Natural Resource Partners LP. He did the original routing and then hired Chet Williams of Nicklaus Design in 1998 to put the brush strokes on canvas. The layout measures 7,480 yards from the back tees. Being the best apparently isnâ€™t good enough. Constant improvement has kept the course voted No. 1 by The Dallas Morning News for a record-tying seventh consecutive year. The Club is open on a seasonal basis for 15 weeks each in the Spring and Fall seasons. In season the club operations are Wednesday thru Sunday, which provides every member and their guest the best possible guest service and course conditions. Whispering Pines Golf Club has a philanthropic golf membership program. The club's 160 members (2013 numbers) make donations of about $10,000 to charity, primarily Robertsonâ€™s non-profit World Health & Golf Association.  Only about 5,000 rounds per year are played on the course, which is closed in summer and winter. The 9-hole Needles Course has eight par-3s and one 300-yard hole that can be played as a par-4 or par-3 depending on the tee. Among the highlights: A 50,000 square-foot double green that exudes a "St. Andrews" feel. The layout was made to be challenging with at least three tee boxes for variance. The greens will be cut to roll the same as the championship course. Founder Corby Robertson again worked with Chet Williams, the course architect for Whispering Pines Golf Club, to achieve his particular short course vision. "I wanted to create a nine hole course that everyone could enjoy. The Needler was inspired by the great short course at Pine Valley and the Par 3 at Augusta National," says Robertson. "The name, The Needler, came from an event I have hosted for many years that brings together friends for golf, fellowship and, of course, to poke fun. This course is meant to share good times." Chet Williams created nine exquisite golf holes that marry beautifully into the rolling hills, lakes and forest. Each of the nine holes has four different tee boxes to choose from with holes ranging in length from 68 to 312 yards, almost guaranteeing golfers will use every club in their bag to play. 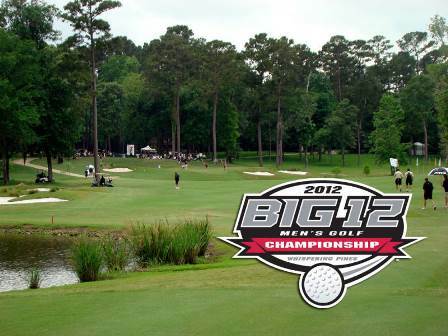 The most impressive and challenging green complex is the 28,000 square foot double green on holes #4 and #8. Straight across the green measures 300 feet, equivalent to the length of a football field. Combined with a nine-foot elevation change and devilish deep sand bunkers, this green will leave golfers humbled by the inherent challenge of The Needler. The Pavilion - a natural timber structure built entirely from large trees harvested during the course construction. This stone and timber pavilion will offer a 360 degrees view of the entire short course.